Akshay Kumar along with Hon’ble Union Minister of India Rajnath Singh launched an app and website ‘Bharat Ke Veer’, which enabled people to contribute financially towards the families of martyred soldiers. Taking the project forward at a prestigious global investor conference titled India Rising, the international megastar made an impromptu but passionate appeal to the CEO’s and corporate honchos to pledge their help for the families of martyred soldiers. 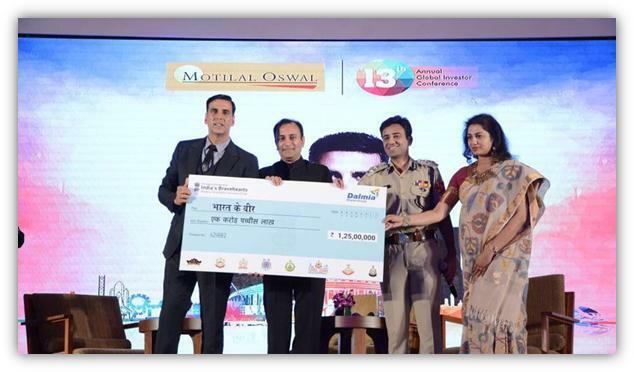 The participants at the event were moved by his speech when Akshay Kumar told them about the website that allows a direct fund transfer between a donor and the next of kin of a slain paramilitary soldier on duty. The actor began by talking about the current status of the website, which has details of 112 soldiers who lost their lives. His speech inspired CEOs from various organisations collectively made donations worth Rs 6.5 crores (£780,000) for this noble cause. 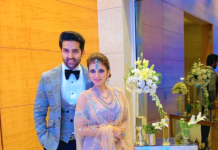 The hosts Motilal Oswal pledged to donate for all soldiers of Jammu and Kashmir presently listed on the site, Akshay Kumar’s friend Vicky Oberoi chose Andhra Pradesh. Industrialist Puneet Dalmia offered support for martyrs from Assam, Orissa and Tamil Nadu. 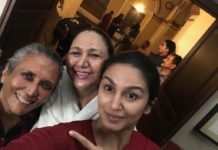 Businessman Sameer Gehlaut chose Haryana, while film producer Prerna Arora from Kriarj Entertainment chose Himachal Pradesh. The makers of Kwality Milk pledged to donate for all soldiers from Rajasthan, while L&T announced a donation of 50 lakhs in the corpus of the website. 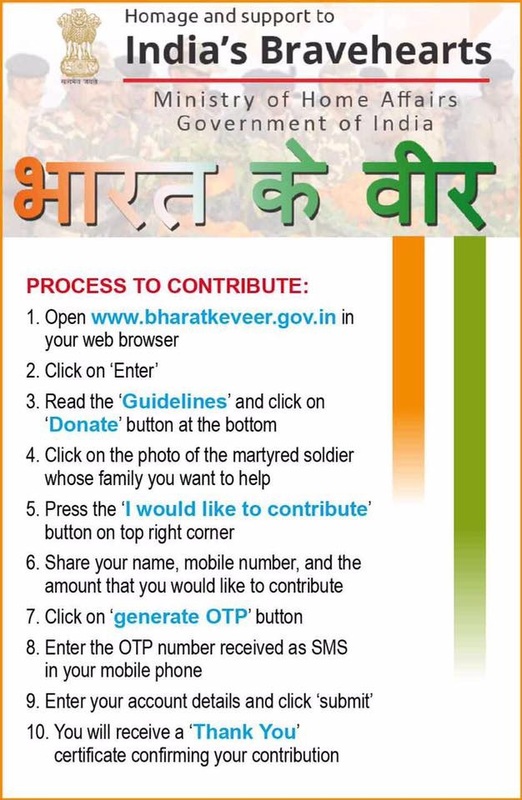 The website bharatkeveer.gov.in was launched by Union Home Minister Rajnath Singh, and has seen several government departments also pledging support towards the welfare of the families who have lost their breadwinner.